It’s hard for some people to believe that we are caring for 2 fosters kids (2 and 3 year old brothers). It’s hard for me to believe that I have a 15 year old son in high school that wants to go with a girl to the Homecoming Dance. I’m actually glad that he likes girls, and I will not comment any further for fear of getting myself in trouble. But it is my blog and I can say whatever I want. Anyway, when I caught wind that he wanted to ask a girl to the Homecoming Dance, we had a father son talk. I talked with him about going as a big group. He said he that he wanted to go as a group, but he also wanted to “have a date”. He ended up asking a good friend, Sydney Tate, who was actually the number 1 draft pick on my Tball Team 8 years ago. I’ve had the privilege to baptize both of her parents, so I’ve watched her grow up before my eyes. 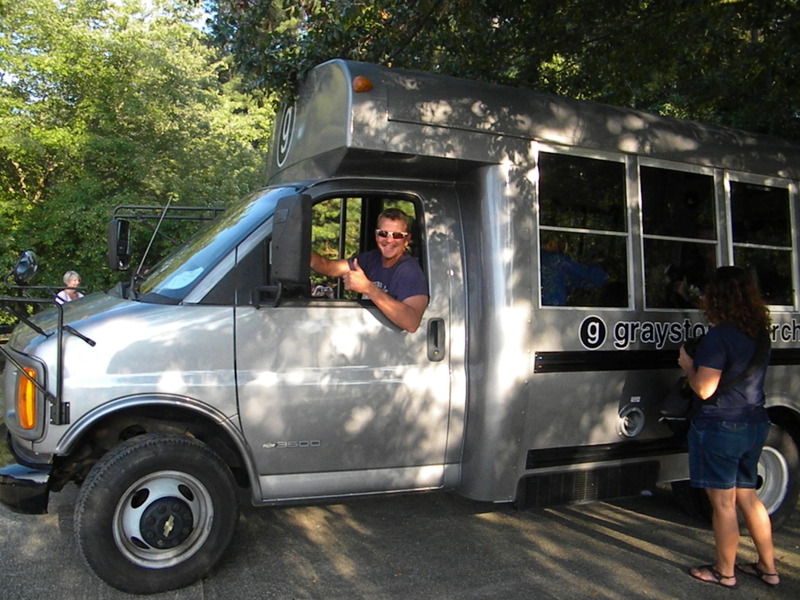 So last Saturday night, we loaded up the Graystone Church Minibus with 12 kids (8 girls and 4 guys) dressed to the nines. I was their chauffeur, and Jennifer was my copilot. We took pictures at the LaPlume’s beautiful house, then we dropped them off at Dominicks for dinner. Oh, I wish I could have been a fly on the wall at the restaurant. We then picked them up from Dominicks and dropped them off at Grayson High School. BTW, they (mostly the girls) were singing/dancing on the minibus. I’m not sure what songs they were singing, but I think the station was 96.1. I’m old. 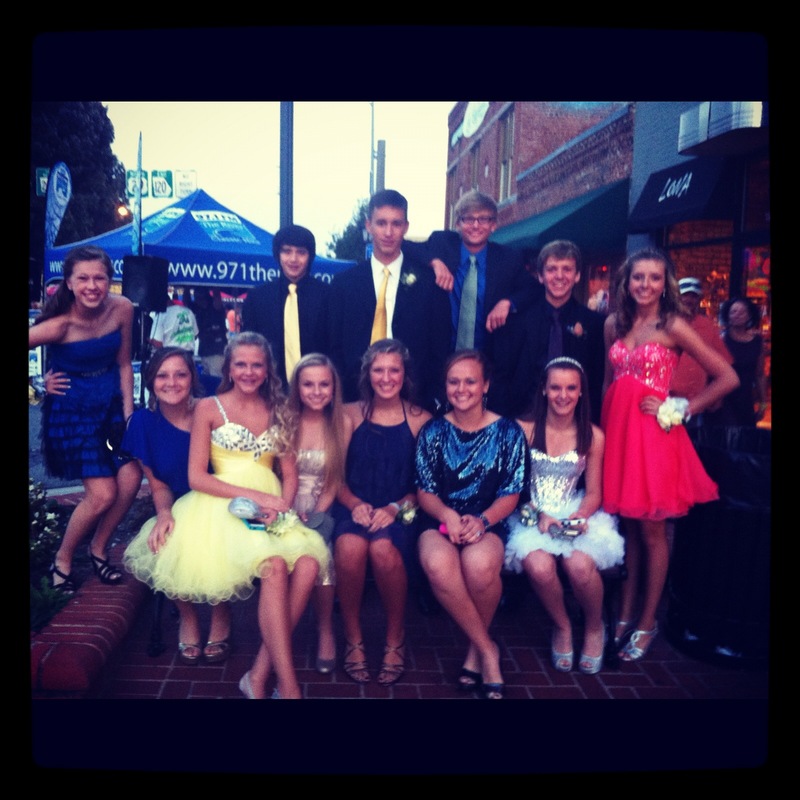 I picked them up from the dance around 10:30, and they all came back over to our house. Some of the moms provided a bunch of drinks and snacks. I think the last girl left at 1:00AM and a couple of the boys spent the night and wore their suits to church. The next day after church I asked them their favorite part of Homecoming. And they said sitting on the floor in our basement talking. I said, “Ya’ll could do that anytime.” But what do I know? I’m old. Honestly, this whole “Dating Scene” freaks me out. 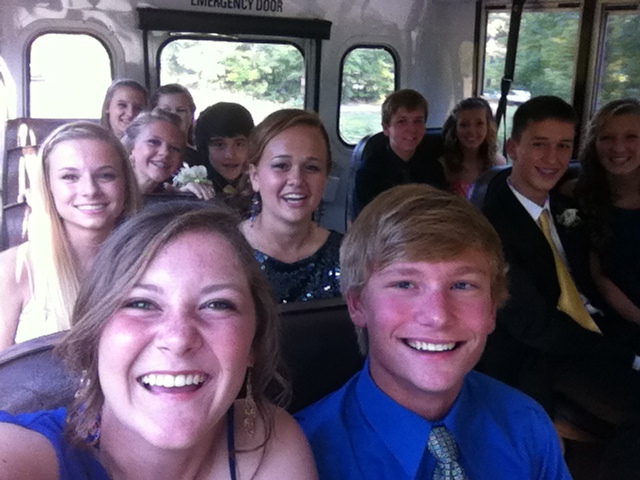 I’ve already promised Julia that I will be her group’s chauffeur next year for her first Homecoming. I’m still trying to convince my kids that arranged marriage is the best avenue here. And that is what Jennifer and I are praying towards. But we will navigate this dating thing as the Lord leads. We have already learned a lot. Mainly, that there is a lot more going on than we know about. One thing is for sure, I will keep pushing group dates, side hugs, and all the kids hanging out at our house. If you’re a parent, I would encourage you to do the same. Totally agree with the arranged marriages point… I think we should bring back the dowry too. Dowry is a tremendous idea. Does the bride’s father get the dowry? This could be my retirement plan.